My husband constantly teases me about my collection of skincare products, but he also never turns me down when I offer him a sample. Men typically shy away from taking care of their skin in fear of feeling too “feminine,” but the reality is that guys are interested in having clear and youthful skin. 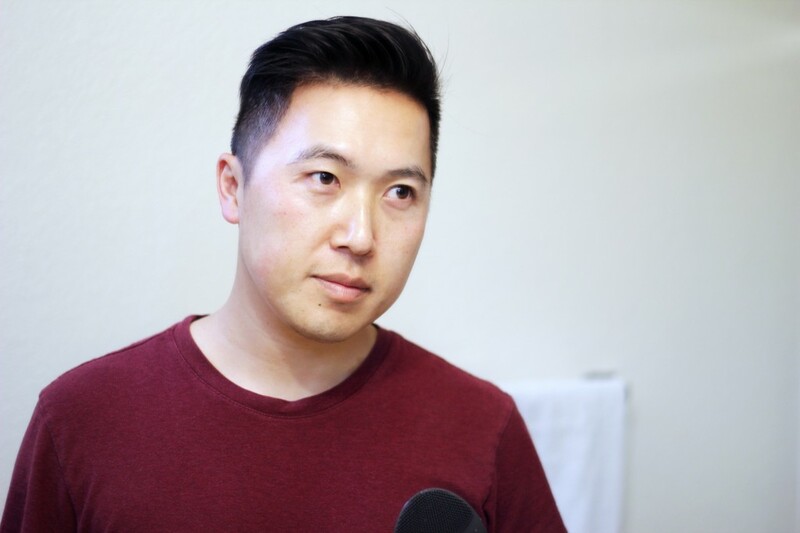 After seeing some noticeable results from using some of my skincare products, he’s slowly becoming a believer in putting more effort into taking better care of his skin. 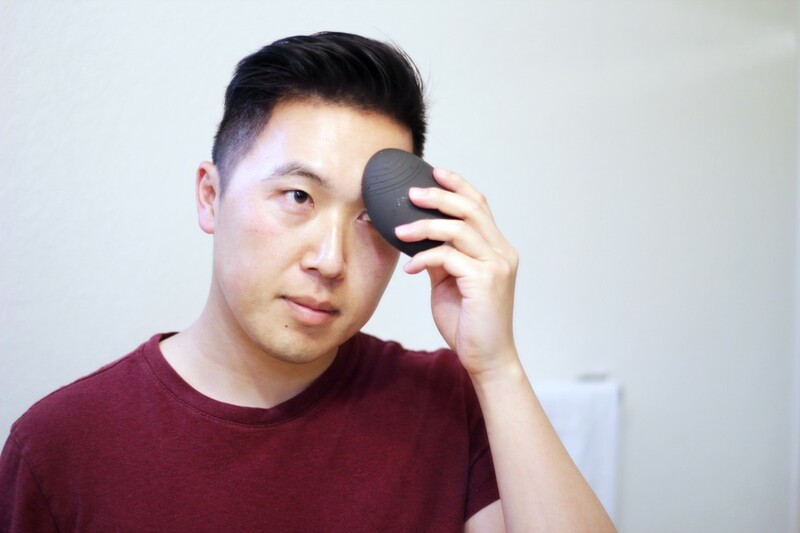 He was quite intrigued when I was doing my review on the Foreo Luna Mini, so when they released a men’s version, I enlisted his help to review it. 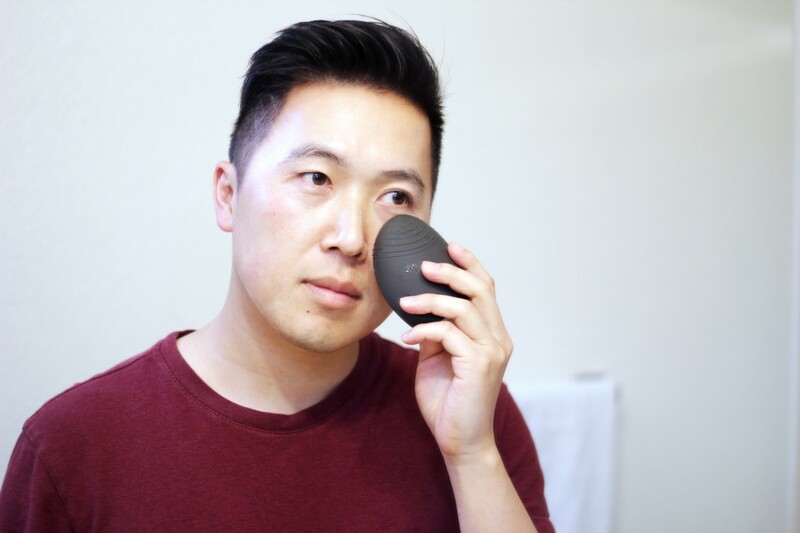 The Foreo Luna Men is a skincare tool that is designed to help unclog pores and prep the skin for smoother shaving. It also has an anti-aging side that releases low frequency pulsations to target wrinkle prone areas. For reference, his nighttime skincare routine is quite simple: cleanser, eye-cream, and moisturizer. In the morning, he’ll cleanse, shave, and then apply sunscreen. He has normal/combination skin, so luckily we’re able to share some products (since I have normal skin). First impressions of the device? I really like the design: it’s sleek and lightweight. I’m also a fan of the black color and the size is just right. It’s also pretty easy to hold (even when my hands are wet). It’s very easy to use and quite intuitive. I really enjoy the small pulsations, because it feels like my face is getting a nice massage. Also, I rely on the pauses in the pulsations to remind me to move to different areas of my face. I’m surprised that I haven’t yet had to recharge it (and I’ve been using it for over 4 months). Did you notice anything different after using it? My face is less oily and I’ve experienced fewer breakouts since I’ve started using the Foreo Luna. Also, I’ve noticed that I have fewer ingrown hairs and shaving is a lot easier (no more razor burn). As for anti-aging, I can’t tell just yet how effective it is, but I feel like my skin is a lot smoother. A few of my friends have commented that my skin looks different (in a good way), so it must be helping. I would say my routine is pretty low maintenance, so I was hesitant at first about adding a skincare tool. But, it turns out that it’s actually saving me time and I’m seeing a noticeable difference! It’s become a natural part of my cleansing step and has decreased my shaving time. I find that I’m able to get a much deeper cleanse with this tool than when I was just using my hands. I would recommend this to guys who experience breakouts/clogged pores and are looking to improve the overall texture of their skin. This device doesn’t require a lot of care – no need to worry about having to replace the bristles. 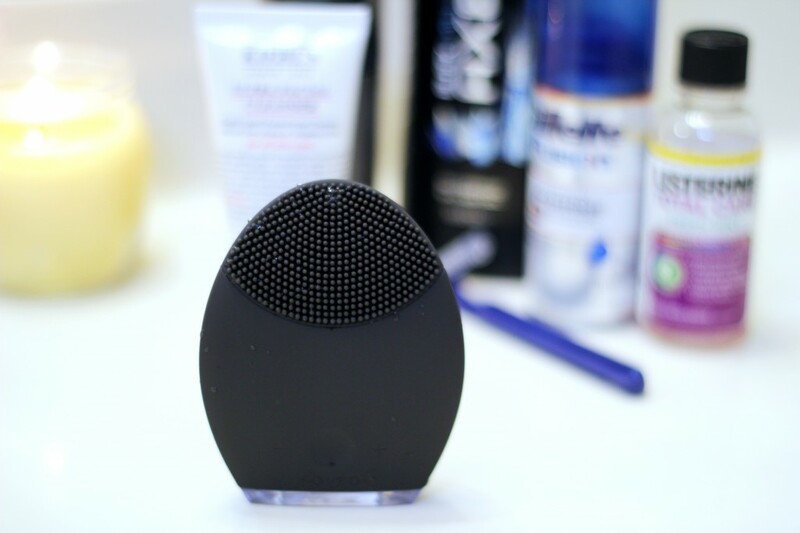 Overall, if you’re looking for a hassle-free way to upgrade your skincare routine, I recommend giving the Foreo Luna for Men a try.